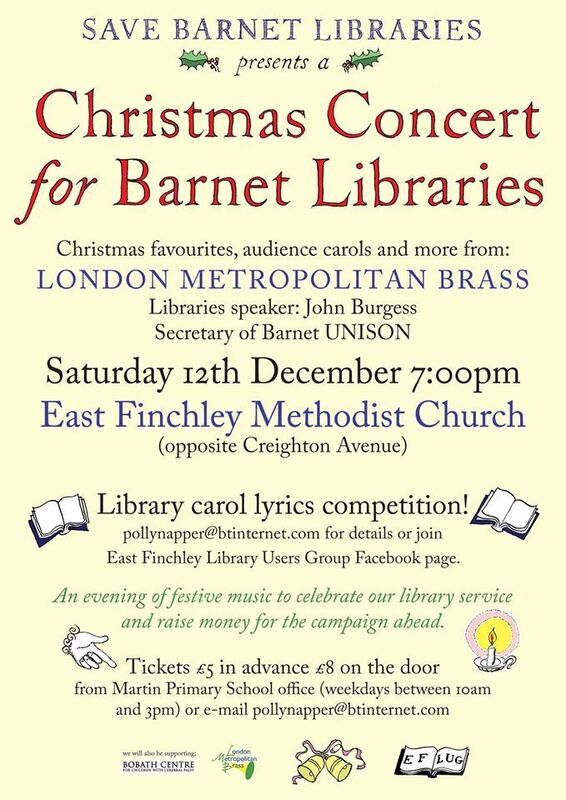 Christmas Library Fundraiser 12th December! 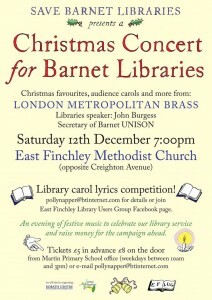 Come along and help support the Save Barnet Libraries Campaign!! Tickets £5 in advance £8 on the door. Please participate but beware the misleading questions. 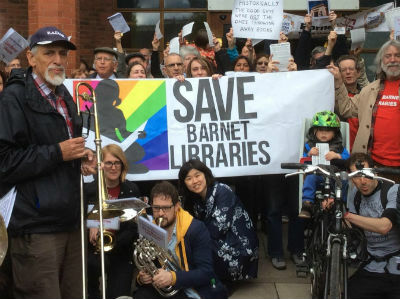 Stop this nonsense – you are just being silly – This is a sham consultation – PLEASE Keep our libraries open and fully staffed with qualified Librarians – if you must make cuts, why not do it to Councillors perks. 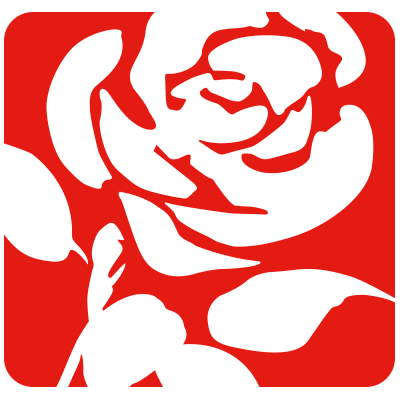 Please note that the Annual General Meeting of the Hendon Constituency Labour Party will take place at 8pm on Wednesday 25 November 2015 in the The Royal British Legion, Edgware Branch, 17 Parnell Close, London HA8 8YE. The venue has its own car park, otherwise it is easily accessible via the 113 or 186 buses (Kenilworth Road stop towards Marble Arch, or Highview Avenue stop towards Edgware Station). The Tories know that if they are to force through five more years of austerity, they have to take out their biggest potential source of opposition—the trade union movement. That’s why they want new and brutal anti-union laws. But we can fight and win. We’ve already seen hundreds of thousands on the streets against austerity since the election. The TUC has called for a further mass protest at the Tory conference in Manchester on 4 October, and the People’s Assembly is calling events from 3-7 October. The success of coordinated strikes on London Underground and the solidarity for local strikes show why the Tories fear that the anti-austerity mood could spill into the workplaces. 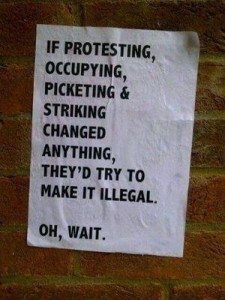 The trade union movement needs to go all out to oppose anti-union laws. 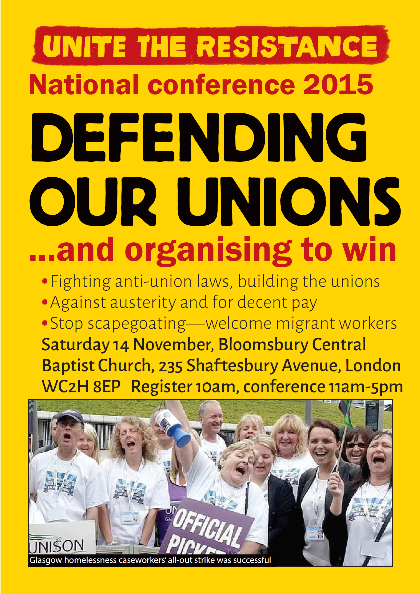 We need a big turnout on the TUC protest at parliament on 2 November. – Will our unions be prepared to break them before they are used to break our ability to resist? – How do we stop the assault on wages and conditions at work? 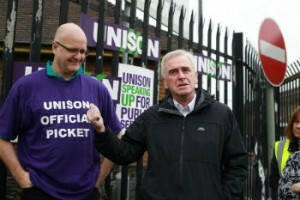 – What is the strategy to build the unions, rebuild organisation where it has been in retreat and grow into new sectors? – Can we fight attempts to divide our side such as the scapegoating of migrant workers, claimants and disabled people? – How do we win a new generation of young workers to the trade unions? And with Jeremy Corbyn dominating the Labour leadership contest, and the rise of anti-austerity parties in Europe, we need a debate about the political representation working class people need. On July 15th the Conservative Government published the Trade Union Bill, the most substantial assault on the trade union movement since the 1980s. The purpose of the Bill is, quite simply, to restrict the ability of union members to organise collectively and take industrial action. • Removing the ban on the use of agency workers to replace striking workers and more. Despite the promises of a decent pension at retirement the Commission wants to change it to a scheme which will leave many of us out of pocket in retirement by 1,000’s for every year we survive beyond normal retirement age. I have been moved around many times, often against my will and with a mediocre salary but on the understanding that our pension was secure. I don’t need to go on about commitment and dedication and at my time of life there is little to no chance of making up the shortfall. Our Unions have tried to negotiate an improvement on the proposals and have tabled many options but all have been refused. It’s got to a point now to which we have no option but to try and get public support for the work we do and put pressure on the government to intervene. so sign this one instead!!! The Tories are intent on destroying our welfare state, our public services and our jobs,terms and conditions. Like Jeremy Corbyn says:“It doesn’t have to be this way” – there is an alternative to austerity. But it’s going to take a fight. UNISON needs to punch our weight. But all too often– on pensions, on pay and on cuts –we haven’t. This election is your chance to vote for change,for: Someone to truly stand up for members; A rank and file member facing the same problems as you; A workers’ leader on a worker’s wage. •The highest recruiting branch in our region this year. We can’t continue with the same approach at the top in UNISON. I urge you to vote for real change. This Saturday, I had the good fortune to be invited along with Tirza Waisel from Barnet Alliance for Public Services (BAPS) to be among many speakers the regional TUC’s conference which was titled “Stronger Unions – Stronger Trades Councils – Stronger Communities”. The particular focus was on campaigning strategy for trades union councils, but by necessity there was also a lot to say about the huge threat posed by the Tory Trade Union Bill, to be first read before parliament on the following Monday. It was an excellent event and extremely well attended. 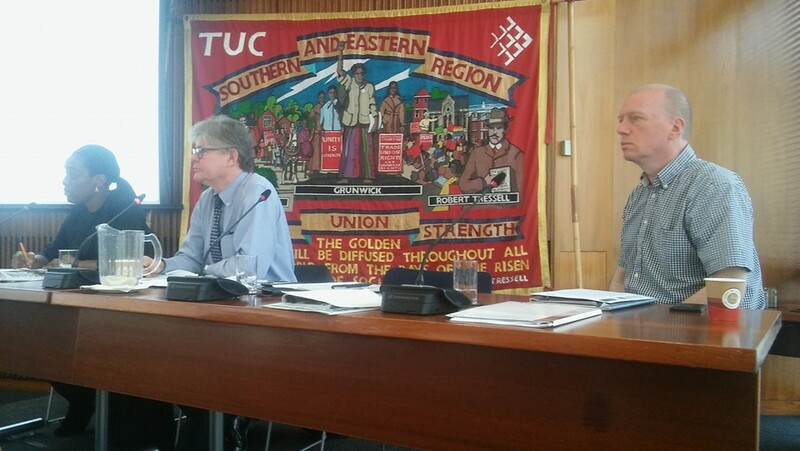 The first speaker was Fire Brigades Union (FBU) leader, Matt Wrack, who began by affirming his strong support for trades councils and his belief that we needed to be more involved in the TUC as whole. On the trade union bill, Wrack layed out his own views on the debate within our movement on to respond. He cautioned against any line of argument that starts with Britain’s historically low levels of strike action, describing this as apologising for strikes. The right to strike is recognised as a basic human right by the UN, and is not something to apologise for. In any case, Tory cuts policies are set to put them into conflict with millions of workers, and strikes are likely to increase because we in the unions do not have the option of doing nothing. Wrack also said that a strategy against the bill that focused on lobbying Tory MPs to try to get them not to back the government, if we do not activate the mass of union members, will not work. He finished by praising the election of Jeremy Corbyn as a socialist and pro-trades union Labour leader, slammed the unprecedented media attacks in on Labour since Corbyn’s win (including the glib, and rather surreal, way that a British Army general was allowed to uncontroversially suggest that the army might act against an elected Labour government!) and said that FBU was now debating re-affiliating to the Labour Party. FBU disaffiliated by democratic decision of the members in the early 2000s after a bitter dispute against the then “New” Labour government of Tony Blair. Matt Wrack was followed by recently elected Labour MP for Edmonton, and parliamentary private secretary to Jeremy Corbyn, Kate Osamore. Osamore declared herself to have having been a long-time active member of the trades union movement herself, as well as a community campaigner. Her MPs office has taken on some of the functions of legal support centre for working class people in Edmonton, who are facing the same serious issues as many other communities throughout the city, particularly over housing. This, on occasion, has required her to take different view from the Labour-run council. She particularly wanted to talk to trades’ council members about her work setting up the new nation-wide campaigning organisation, Momentum. This initiative, formed directly out of the phenomenal campaign that had coalesced behind the Corbyn for Leader campaign, which seeks to get the many thousands of people who were inspired by Corbyn’s message into useful on-the-ground activism: starting with a major drive to get people registered to vote to head off Tory efforts to disenfranchise working class and ethnic minority communities. Momentum is in its formative stages, so a great deal remains to be decided about its structures, but has a lot of potential to co-operate well with trades’ councils in the communities. Kate responded to a number of questions from the floor about some concerns that some elements of the the party were acting against the clear democratic choices of membership and registered support, by undermining Corbyn and his front bench. She said that there was unfortunately factional behaviour by many more rightwing MPs, but that this is currently the biggest opportunity the anti-austerity left has and that people who support Jeremy and his ideas will be better placed to support him as Labour Party members than standing on the outside. Antonia Bance, the TUC’s new head of campaigns and communications, addressed us on her baptism-of-fire first case for the Congress: fighting the Trade Union Bill. She has done a lot of detailed research into how the public perceives the law change and what the strongest arguments are for winning them to our side. Interestingly, the aspect of the law that most shocks people is not the question of ballot thresholds and it also not restrictions on public sector strike action. The factor that most upsets the public’s sense of fair play is actually the new measures that have been introduced to institutionalise the use of agency workers to break strikes. Added to this (and now available on the TUC’s Facebook page), Bance illustrated what she was saying with the visible distress of Tory MP Steven Crabb on the Daily Politics, as he faltered before TUC leader Frances O’Grady’s arguments against the use of agency strike breaking. Further strong arguments that Bance sought to emphasise are the 14-day build-up period to any action. She challenged us to ask a blogger if they know what they’ll be posting two weeks in advance. Bance says that the parliamentary schedule for the bill is a typical, cynical one, ending on the last day before Christmas recess. This gives us only a couple of weeks to try and stop it, though she urged everyone to take seriously the possibility that we might and to accordingly lobby Tory MPs who may turn in time. The conference also heard from the TUC’s Young Members Network in the region, which has a new leadership who have been hosting some successful events in their localities. These included weeks of action on themes such as “Low Pay Week” and “Decent Jobs Week”, as well as a remarkably effective young persons’ registration drive in Maidstone. Getting young members to take leading roles has been very important from the point of view of having people organising who are actually living the new reality of young workers today (one Network co-chair said she had counted a staggering 14 zero-hour contracts that she had had in the past year!). They told us that November is Young Workers’ Month, and that trades councils ought to support this by finding young people to act as youth liaison officers, supporting them to hold events and getting young workers to the TUC’s Young Members’ social on Saturday November 28th. Hastings TUC, which has established an Unemployed Workers Centre, both giving advice to unemployed workers and recruiting them into the movement. The resulting new members have enabled Unite Community to establish a brand new branch in the region. HTUC’s next new project is a multi-union learning centre in the area. Derek Hansford, speaking for HTUC, said he believed that this year’s 20th of June Peoples’ Assembly Against Austerity demonstration was the day that the new movement against austerity began in earnest. Bedford & District TUC, which returned from obscurity in the wake of the the election of the Tory-LibDem government in 2010, and has had “half a decade” of struggle. Like us in Barnet, BDTUC has become a primary organiser of local demonstrations against cuts and privatisation in the area, where they previously weren’t taking place at all. 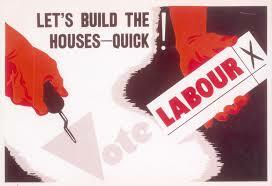 They also have renewed links with the local Labour Party and pushing for more pro-trades union policies. Bromley Trades Union Council, who face a radical rightwing Tory local administration that seeks to model itself on our own in Barnet! Like public sector workers in Barnet, Bromley workers have been forced to fight for their rights and the TUC has been a key source of support, as well as holding to account the toothless “scrutiny committees” that are setting up dangerously light-touch contracts with outsourced private service providers, much like our own. Our own experiences from Barnet got a superb response, with our very effective model of the trades’ council working in a united front with, but not running or dominating, a range of democratic campaigns like BAPS and the Save Our Libraries Campaign. It was worth reflecting, despite the serious struggles we still have to wage here, on some of the things we have achieved. These include defeating the infamous Tory extremist Brian Coleman, who’s sudden downfall in 2012 is well remembered by trades unionists throughout London (particularly the FBU!). The conference finished with a discussion about next years’ May Day events, with local groups being strongly urged to organise their own activities. 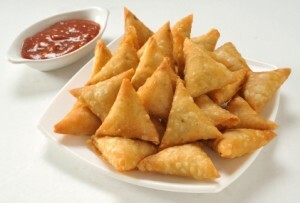 Along with much else from today, this is something we must take away and discuss.